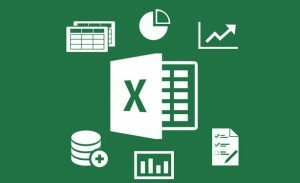 Microsoft Excel is one of the most widely-used business applications in the world, and it’s popular for many reasons – not least of which it’s easy to get, and it can be used in so many different ways. While I use Excel for reporting and analytics at work, my wife and I also use it to keep track of our bills and their due dates. It’s no wonder that companies would look first to Excel to solve new business problems that come up. Are your project estimates accurate? Are your quotes where they should be? Are you billing for all time on your time and materials projects? Are you staying within budgets on fixed-cost projects? Which types of projects are most profitable? Which types are not profitable, and should probably be phased out? The answers may surprise you, pleasantly or unpleasantly; but knowing them will empower you to focus on what improvements and adjustments can be made to make your team as productive as possible – maximizing profitability for your organization. The first step is to begin tracking time. Whether you start at the client level, or you drill down to projects, phases and tasks, the important thing is that you start tracking time, even when working with salaried employees and contractors. How long each type of project takes. This sharpens estimates and ensures profitable quotes on projects. Which customers are more profitable. This helps you focus on growing strategic accounts. How long each phase of your projects usually take. This helps you to anticipate bottlenecks and adjust for them. While it can be a great starter tool for tracking projects and time, Excel does have its limitations and it can start presenting more problems than it solves as you grow. Eventually, your team could spend more time trying to clean up and consolidate the data, costing more in real labor dollars than the monthly cost of a professional time tracking software solution. Project Names:Users can potentially enter different names for the same project (i.e. Project A vs. PrjA or Proj A), which will end up causing confusion for the people compiling data from multiple employees. It will only get more complex as you add more layers (Client, Project, Milestone, Task, etc). Multiple Versions:You may find that different team members are creating different versions of the same spreadsheet, which means you have to reconcile which version is the latest and greatest. Manual Entry Mistakes:When you have to enter data into accounting, billing, ERP, and other systems, there is always the potential for data entry errors, which can have unfortunate consequences. Data Validation:Users can enter any information into their Excel spreadsheets. Without a way to automate validation of that data, your team will need to look out for and correct errors on the back end, which can add a lot of time to the process. Once you start tracking your team’s time on projects, you are on the path toward being a power user of your own company. As I mentioned, Excel is a great first step towards understanding your project profitability better; but as you grow, you’ll definitely find yourself needing something a little more in-depth and automated. Control things like project, task, and milestone names so your data is always consistent. Track all types of project time in one place. Validate the entry of data to eliminate errors. Sync data to other business systems to streamline billing, payroll, and other critical processes. Regardless of how you start, at Journyx, we are avid fans of the power of tracking time. It is a concept that seems so simple, but can truly have a positive impact on companies of every size and industry. We’d love to talk with you about how this can apply specifically to YOUR company. When it makes sense to make the switch from Excel, we’ll be here to help guide the way. Ready to See How Journyx Works?